Sidelines...continues outside college, What's the Problem of Nigeria? This is 2014. And you would expect that people have come to a mastery of the nuisances of arguments but you only need to tune-in to news at 10 on Channels Television to know how far people have fallen in reasoning. You can only imagine the agony of the Greeks who laboured for the fine art of dialogue and discuss that has become trivial in our current state. I am talking about the puerile adverts that the office of the president of Nigeria and his sympathizers host on air to harass one’s sensibilities. Now, the problem with being a commentator of my standing in a country like this is my constant struggle between calling out the idiots in government and a more difficult task of punching holes in the logic of greater fools of a citizenry. For what it’s worth, President Jonathan needs a new copywriter for his publicity campaigns. A basic requirement for a suitable candidate should be an aptitude in logical reasoning. A common line of fallacy is sewn along all publicity efforts of the Jonathan’s government. Pray, what’s with all rhetoric of terrorism is a global phenomenal? So, is that a case for Nigerians to live with it? I beg to differ, why are our precepts taken from far-fetched countries? The last I checked terrorism isn’t yet a continental issue or even a regional one. With countries like Ghana, Egypt and South Africa basking in the euphoria of secured communities. Is terrorism a reality? Yes! But that doesn’t excuse the fallacy that the presidency continually builds its debates. Another instance I find this mono-polar reasoning presidency inept is its recent appeal to argumentum ad populum. My daily news session is soured by this advert that run like: Mandela did it, President Obama is doing it therefore Goodluck Jonathan would do it…” not only did this claim run afoul of more than four fallacies it is a grievous heresy that I still wonder why Obama hasn’t sued for slander. This assertion not only tries to equate a Goodluck Jonathan reasoning (which has been questioned on many occasions) and capabilities with that of the finest the world has seen but assumes Jonathan is doing anything at all. The free copy up there would do my world a lot of good if the president can communicate his readiness to tackle our challenges head-on not with rhetoric and unfitting comparison and appeal to sentiments. Just so we are clear. This doesn’t in anyway supports the greater fools of a citizenry and their stands against the president. 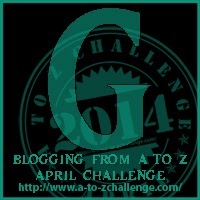 A-Z Challenge, Sidelines...continues outside college, What's the Problem of Nigeria? Whenever the crowd are singing a chorus of any initiative I know it’s time to put on my thinking cap. The problem of numbers in our world is that it attempts to cloud out reality in the guise of clearing doubts. People who have issues grasping reality hide under the assurance of numeric bamboozling for understanding. Thus, I wasn’t in the least surprised when news came about the World Bank lumping Nigeria with other “extreme poor nations”—and the people were trying to make a head or tail of the words “extreme” and “poor”. That’s a symptom of the evils numeric intelligence can cause to a society. If the same information has been passed in statistical pills it would have been digestible for majority of the citizens. As a Development Knowledge Facilitator, I know the perils portend in any statistical portioning of 0.05% of any population sampling. But to an average reader, the knowledge of arithmetic and the insignificance of such percentage is burn on his mind and he carries on. The recent economy rebasing of Nigeria as the largest in Africa, on GDP amounting to $509 billion, needs a cautionary note. Like everything Nigerian, the drums are bursting in the rooftops and liquors carpet our streets in celebrations of this feat. By the virtue of that calculation, Nigeria crests as the 26th economy of the world but we still rusts away as the 121st on the scale of per capital GDP. Upon happening on the news—or the figures if you like, words rushed up to my head. One of which is, so? What is the economic reality of the new categorisation? What’s the significance of taking such assessment in 2014, having done the last in 1990? Is there a pattern, logic or sheer whim to all this? What in black and white, grammar and phrases does it mean to worth $3,500 as a Nigerian on per capital expectation? Not all growths are growth. Protruding belle maybe a sign of good living in this clime, it is also a telltale of obesity in others. Tumour is also a kind of growth, lest we forget. In fact, weeds exhibit this growing potential too. Remember, if a man jumps up he goes up instantly but immediately gravity exerts control over him, but if he grows up he stays there. We know more people would rather do business in Ghana than in Nigeria; our youth will take the southward plunge the way of Prince Henry the Navigator, rather than stay back home. That is, what it means to be a great economy—desirability by both natives and foreigners. Are we anywhere close? Meanwhile, can someone put this to me in subjects and predicate? Not today, but soon perhaps, I’ll be explaining the difference between PDP [Peoples’ Democratic Party] and APC [All Progressive Congress] to you. I’ll tell you how they both started, who is fighting who and why. I think by the time I finish my explanation, it will make a lot more sense to you than it does now. First, of course, I’ll have to find out myself. I haven’t quite decided how, but I’ll probably start by explaining the difference between the two parties. One of them is peopled by corrupt politicians and we know the other is populated by those excommunicated from the other. One of the downsides of the issues for most Nigerians is that the faces in the two parties are essentially the same. A face you saw on the television yesterday adorned in green and red is waving the broom, with so much violence, today. It isn’t as though they look like Militants or Boko Haram. Looking like Militants or Boko Haram makes it a lot easier to tell them apart than calling them PDP or APC. Don’t worry about it for now, though. Just as soon as I find out what it’s all about, I’ll let you know. While I am at it, I might as well comment on the similarities between the NPF and the INEC. The former means Nigeria Police Force and the later means Independent National Electoral Commission. Both names share the simplest and most hidden ironies our time. The force is owned by a select few and the commission is commissioned to the apron springs of a single party. They both determine which court orders they obey and which state or party deserves a listening ears. Injustice, deprivation and pilferage have being the bane of this nation. The Nigeria of today may as well make no pretences to alternative choices as we can hardly make a guess on the alternative. Impunity reigns in both ruling and opposition parties to the chagrin of the people. Governance has been reduced to a ping-pong game of accusations and puerile allegations. The work is left undone and the nation descends down the abyss of degradation like a vehicle without a clutch. It is a pitiable state we are in and it is time for all and sundry to put hands on the plough of nation building and make a destiny for ourselves. …to add a little is creativity!